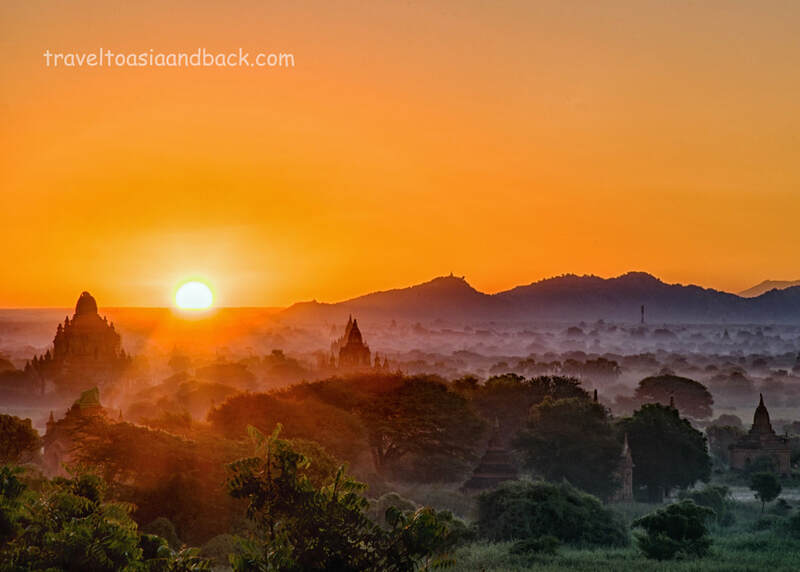 Often called "The Golden Land", the fascinating Southeast Asian nation of Myanmar was formerly known as Burma. Strategically located between India and Malaysia on the Bay of Bengal and Andaman Sea, it was colonized by the British in 1824. In the 1850's the British constructed the city of Rangoon over the ruins of a small settlement known by the Burmese as Yangon. Much of Yangon had been destroyed by fire in 1841. Located on the bank of the Irrawaddy River, Rangoon would become the administrative capital of British Burma and a thriving colonial port city. Today, Rangoon is once again known as Yangon and although it is no longer the capital of the country, it continues to be a large and vibrant port city. In 1962 the Burmese military under the direction of General Ne Win successfully launched a coup and seized power. Immediately following the coup, the military government took a position of isolationism, basically shutting Burma's doors to the outside world. The military junta that ruled the country until 2011 was frequently charged with human rights violations resulting in the imposition of economic sanctions by the United States. The sanctions, which began in 1989, helped insure that the country now known as Myanmar would remain in isolation. In the last decade Myanmar has under gone many remarkable changes. Although the country still has still has a number of issues to address, it appears to be charting a new course in which its leaders respect democracy, human rights and the rule of law. Just recently, in September 2016, the United States lifted all economic sanctions against the unique nation. ​As Myanmar’s doors opened, travelers from around the globe began visiting this unique and fascinating country. The number of tourists entering Myanmar has increased noticeably every year since 2009, achieving a record 4.6 million in 2015. The country is well known for its cultural diversity, UNESCO World Heritage sites, white sand beaches and stunning scenery. A single journey through Myanmar can easily include; lying on the powder white sand beaches of Ngapali, SCUBA diving in the crystal blue Andaman Sea, trekking to the former British hill station of Kalaw, exploring the ancient temples of Bagan or Murak-U, riding a ferry on the Irawaddy River, visiting Yangon’s gilded Swedagon pagoda and sampling exotic street food. 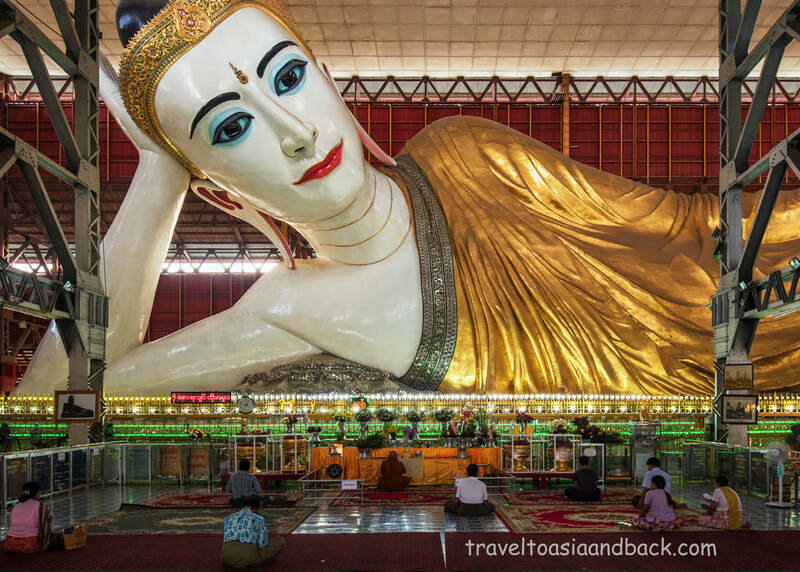 Myanmar is easily accessible by air from Bangkok, Kuala Lumpur and Singapore. Several airlines make the one hour and ten minute flight from Bangkok's Survarnabhumi (BKK) airport, while the discount carrier Air Asia serves Yangon from Dong Maung (DMK). There are a limited number of flights from Chiang Mai, but are generally more expensive than departing from Bangkok. Overland border crossing from Thailand is possible at four locations. Currently Myanmar's e-visa is accepted at three of the four; Tachileik, Kawthaung and Myawaddy. It should be noted that citizens of countries outside of Southeast Asia will need a visa to enter Myanmar. There is no visa on arrival, it must be obtained before entering the country. Fortunately an "eVisa" is now available, here is the link to the official web site. Many people who are traveling in Thailand prior to their journey to Myanmar continue to obtain visas from the Embassy of Myanmar in Bangkok. The embassy is easily accessed from BTS station Surisak, and can be found on Google maps. Tourist visas can be issued on the same day as the application, but if you are willing to wait two days from the day of application the price drops to 810 Thai Baht . This is roughly half the price of an eVisa. Here is a link to the Embassy's web site, where you can down load and print the visa application form. In addition to the completed application, you will need two recent passport size photos. One will be glued to the application, the other affixed with a paper clip. You will also need a photo copy of the first (picture page) of your passport. There is an office in the embassy building, next door to the visa office where you can get the application, copies etc. There are also several vans parked along the street that make copies and will make sure that all your paper work is in order. The fee they charge is nominal, 5 baht for a photo copy, paper clips, etc. Please note that the embassy is closed for all Thai and Myanmar public holidays. A list of is available on the Myanmar Embassy website. Myanmar's most popular traveler's destinations can be reached by domestic airlines, trains, buses or share taxis. Unfortunately, domestic air travel in Myanmar is expensive when compared to other Asian nations. Asian Wings and Air KBZ are a few of the country’s reputable domestic carriers which allow on line bookings. We recommend booking flights directly with these airlines and avoid using third parties like travel agencies. Traveling in Myanmar by train can be a fantastic experience. It gives us gives us a unique opportunity to interact with local people and get a glimpse into their daily lives. A trip around the suburbs of Yangon on the "Circular Railway" allows us to see the city and her residents as if we were locals. Some might argue that the journey across the Goteik Viaduct is one of the world's most spectacular train rides. Train travel is also very economical; the seven hour trip from Pyin Oo Lwin to Hsipaw is less than $4 USD. The downside of train travel in Myanmar is that maintenance of the tracks and trains is rather poor and many will find that the cleanliness of the coaches, toilets and berths not up to Western standards. The simple fact is that the system is old and tired, much of the railway originally built by the British in the late 1800's to early 1900's & later rebuilt after World War II. Another point is that the cars have a tendency sway bounce rather violently making sleeping difficult or impossible. For these reasons, It's generally recommended to not take over night trains. The best part of train travel is the stunning scenery, so travel during the day while you are well rested and can really enjoy the trip. Click here for an excellent website we used to plan train travel in Myanmar. 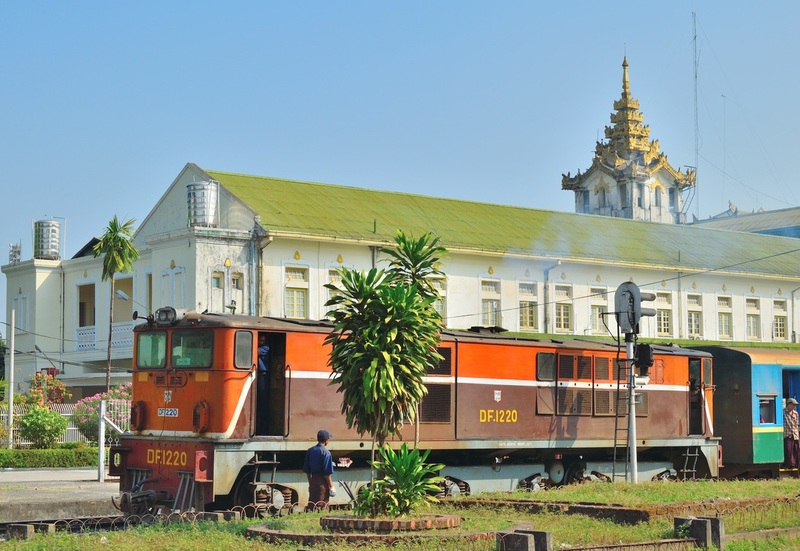 Unlike the bus stations, railway stations in Yangon and Mandalay are conveniently located in the city centers. It's best to go to the stations the day before your trip to purchase tickets and verify departure times. In mainland Southeast Asia, traveling by bus is a practical and inexpensive option and Myanmar is no exception. Bus travel is a vital transportation method for locals as well as tourists and even some of the country’s smallest towns are on bus or van routes. There are numerous bus companies operating in the country, some of which cater more towards tourists and travel to and from the country’s most popular destinations. Over the last decade Myanmar has made significant improvements to its highway system; bus travel is generally safe and reasonably comfortable. 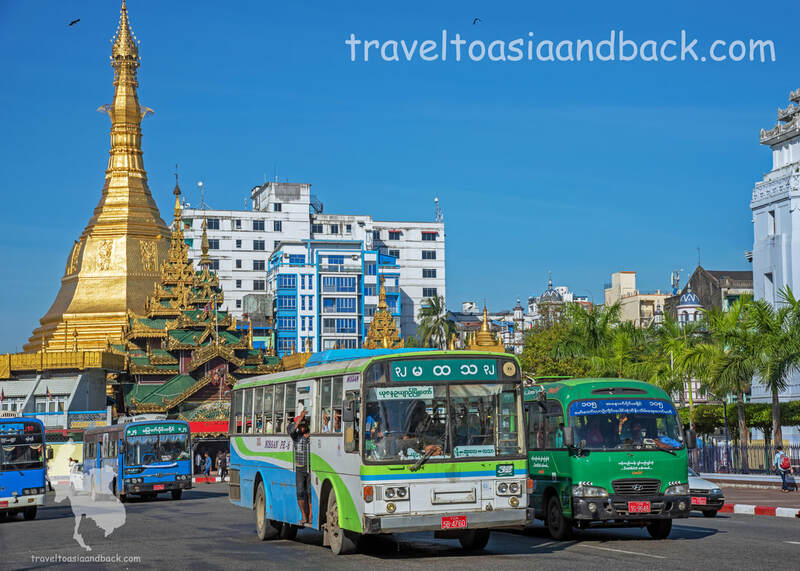 ​Yangon and Mandalay are major bus transportation hubs but it should be noted that both of these city’s bus stations are located on the highway well outside of the city centers. In Yangon taxi fares from downtown to the Aung Mingalar Highway Bus Station is roughly $8-10 USD. The "station itself is not much more than a huge chaotic parking lot. It is highly advisable to purchase tickets in advance from an agency like Pegu Travels located on Bogalay Zay Street in downtown Yangon. Many hotels and guest can organize tickets as well. ​In Mandalay we bought bus tickets from an agency which caters specifically to bus travel. Their office is located on 30th Street approximately 300 feet east of Mandalay Railway station. The 1348 mile (2170 km) long Irrawaddy River has been used to transport passengers and cargo for approximately 1500 years. In 1865 a Scottish firm created The Irrawaddy Flotilla Company, which at it's peak in the 1920's, claimed to be the world's largest river boat company. The company was nationalized in 1948 and is currently named "Inland Water Transportation" (IWT). 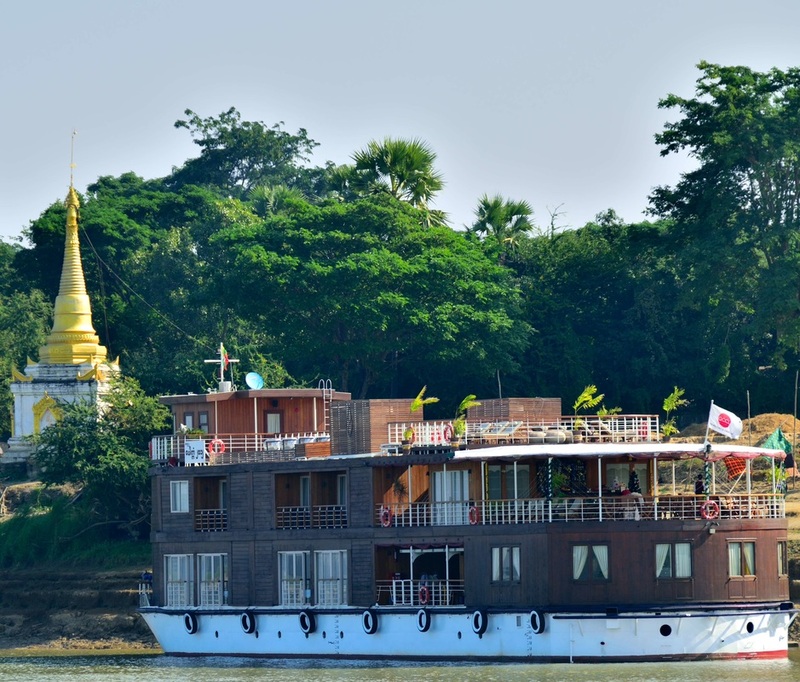 Currently there are many companies operating passenger vessels and cruise ships on the Irrawaddy.